On Sunday I’ll be running my second marathon of the year. It will be a very different experience in many ways from Manchester. I’m running in the 2014 Sierra Leone marathon which takes place on Sunday 25th May in Makeni in Northern Sierra Leone. The one thing I can say for certain is that I won’t be breaking my shiny new PB in Sierra Leone, and I certainly won’t be running a sub three hour time. Although the race starts at first light, it’s going to be very hot by the end, almost certainly well into the 30s. I’ve got no idea what it will be like running in extreme heat – however, I’m going to take it steady and look after myself. It’s been a difficult few weeks running wise since Manchester for a few reasons. Although I look back now with a great deal of pride and satisfaction in achieving the sub 3 time, I realise that I had built this up as a huge personal target. I had perhaps become a little obsessed by the three hour thing. Now I have scaled that mountain, I have suffered a bit of a comedown and lost a little focus in my running. By the way, I was absolutely flabbergasted by the reaction to my blog and all the positive comments on here and on Facebook. It certainly helped that Tom Williams gave me a fantastic endorsement. Thank you to everyone that took the time to read the blog and to post such positive comments. 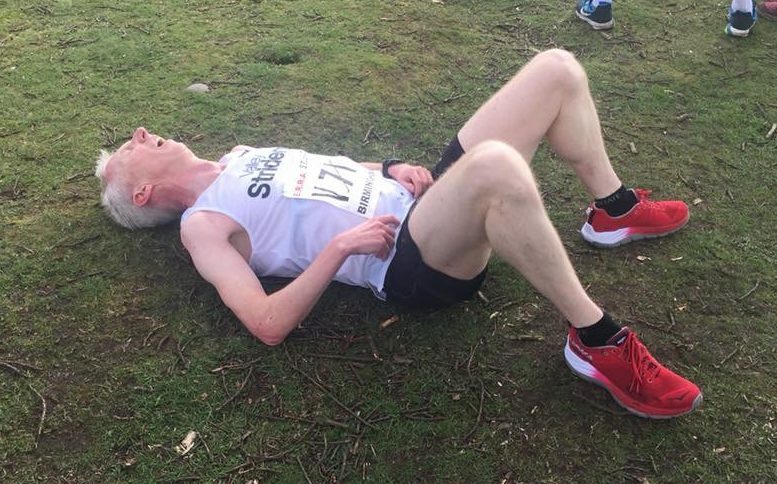 I managed to run a 10K personal best shortly after the marathon – with 36:49 at Salford on Good Friday, but after that I was struggling with a calf /ankle injury and I didn’t run much at all for a couple of weeks. Just as the injury was improving, I was laid low for a week with a bad reaction to my Yellow Fever vaccination – for a couple of days I felt as ill as I have ever done, it was awful, I had to have a day off work for the first time in about 15 years. So despite running a sub three hour marathon and an all time 10K PB within the past 7 weeks, I don’t feel particularly fit at the moment. The running has improved a little in the past few days, but the longest run I have managed since Manchester has only been 12 miles yesterday and that felt hard. I am going to start very steadily on Sunday and make sure that I am able to complete the course. I have no time ambitions; I’m just going for the experience. I am running to raise money for Street Child that funds programmes to support poor children in West Africa. I have paid all the cost out of my own money – well over £1,000 and I would be grateful for any sponsorship, however small. Thanks to everyone that has already supported me – along with my colleague I’ve already raised over £1,600.00 with hopefully more to come. I’ll be posting a full extensive report on the trip when I return from Sierra Leone next week.